Accompanying the exhibition Heaven and earth in Chinese art: treasures from the National Palace Museum, Taipei , this lecture series explores the ancient philosophical concept of tian ren he yi — the harmony of heaven and humanity. Over five weeks, leading scholars will present a history of Chinese art through this lens, traversing themes of heaven and earth, the seasons, significant places, landscapes and the place of humanity in the world. The speakers are Dr Karyn Lai, associate professor of philosophy at the University of New South Wales, Dr Marja Sarvimaki, associate professor at the Bond University’s Abedian School of Architecture, Dr Xiaohuan Zhao, senior lecturer in Chinese literature and theatre at the University of Sydney, Dr Shirley Chan, head of Chinese studies at Macquarie University and Dr Jay Xu, the director and CEO of the Asian Art Museum of San Francisco. These public programs are supported by the Robert H. N. Ho Family Foundation and the Australian Government through the Australia-China Council of the Department of Foreign Affairs and Trade. Note: exhibition ticket is not included in the lecture series ticket price. This lecture will explore Chinese philosophical views on the seamlessness between humans, other life forms and the natural and cosmic worlds. Also discussed will be the concept of art as an expression of a cultivated life, bringing together artist and audience. These themes highlight traditional Chinese artworks as refined expressions of philosophical ideals and aspirations. Dr. Karyn Lai is associate professor of philosophy in the School of humanities and languages at the University of New South Wales. Her research specialisation is early Chinese philosophy and Chinese-western comparative philosophy. Her areas of research include epistemology, moral philosophy, environmental ethics, and reasoning and argumentation. This lecture examines the interrelationship of traditional Chinese built environment with the concept of tian ren he yi . In architecture, this philosophy was expressed in various ways, most notably in Chinese geomancy, or fengshui , which influenced all building activity including location, orientation and design. Dr Marja Sarvimaki is an associate professor at Bond University’s Abedian School of Architecture, Gold Coast, Australia. She has worked as a practising architect, designing public and private buildings, as well as historic preservation projects. In addition to the doctoral dissertation Structures, Symbols and Meanings: Chinese and Korean Influence on Japanese Architecture , her work includes numerous publications on East Asian cultures and architectural research methodology. This lecture examines gods and ghosts as presented in Xiqu or traditional Chinese theatre, focusing on types, modes of presentation, relationships with humans and their final disposition. The lecture will include a review of Chinese conceptions of heaven and earth and folk beliefs as well as a survey of Chinese god and ghost drama. This will be followed by a discussion on the artistic representation of heaven, earth and humanity on the traditional Chinese stage. Xiaohuan Zhao is senior lecturer in Chinese literature and theatre at the University of Sydney and distinguished overseas professor in Chinese drama and theatre at Shanxi Normal University. He has taught at the University of Edinburgh and the University of Glasgow, Scotland, as well as the University of Otago, New Zealand. He is the winner of the Adele Mellen prize for distinguished contribution to scholarship 2005 for his monograph Classical Chinese supernatural fiction: a morphological history . His most recent book is Drama, fiction and folk belief published by Fudan University Press in 2018. 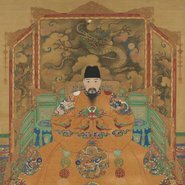 This lecture will provide an overview of the meaning and importance of art from a Confucian perspective, including the Six Arts which formed the basis of Confucian education. This will be discussed in relation to ancient China, where art had a sacred place in rituals and ceremonies, serving as a means of communication between heaven and earth. Associate professor Shirley Chan is the head of Chinese studies, department of international studies at Macquarie University, Sydney. She teaches and researches in Sinology in the fields of Chinese culture, classical Chinese philosophy, textual studies, intellectual history, and the excavated Chu bamboo manuscripts, dated to the fourth century BCE, on which she has published in English and Chinese. This lecture will discuss the vast and extraordinary history of the Chinese imperial art collection since the early twentieth century. From its change in ownership from the imperial Qing dynasty to the Republic of China, to its first international exhibition in London, to relocation from the Forbidden City to inland China to escape the Japanese invasion and its partial move from the mainland to Taipei at the end of the Chinese civil war, this collection has a dramatic and fascinating history. Also discussed will be the more recent landmark exhibitions in the United States and other western countries, the latest being Heaven & earth in Chinese art: treasures from the National Palace Museum, Taipei , at the Art Gallery of New South Wales. Dr Jay Xu is the director and CEO of the Asian Art Museum of San Francisco. Xu earned his MA and PhD in early Chinese art and archaeology at Princeton University and has more than thirty years experience in international museums as a research scholar, curator, and museum director. He has held administrative and curatorial positions at the Shanghai Museum; The Metropolitan Museum of Art, New York; Seattle Art Museum; and the Art Institute of Chicago. A dedicated, award-winning scholar of Chinese art, Xu is well-published, particularly on ancient Chinese bronzes and archaeology.